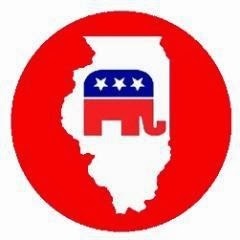 Are We Trying to REALLY Kill the ILGOP?!? Exhibit 1104 in the effort to kill the ILGOP: Apparently, some crackpot has convinced his relative to challenge the petition of an 18 year old woman who is trying to become a Republican Precinct Committeeman. Really? Bonnie and Richard Duresa? Really?!? Challenging the 18 year old? Won't let her get on the ballot? Scaredy Cats? We have NO idea what the politics of Jenna Wing from Fox River Grove are, but the fact that an 18 year old woman would want to get involved in the awful business of being a Precinct Committeeman by itself is an amazing notion. And we're going to throw her away by getting her kicked off the ballot? Come on, Man. If that happens (for shame), the County Chairman better well find an empty precinct and appoint Jenna Wing as fast as he/she can. If we want the ILGOP to survive, we need not just one Jenna Wings. We need thousands of them.